Search Burbank Homes For Sale. Search Burbank Homes For Sale. Up to date listings. If it is on the market you will find it here. See what your neighbor's house is on the market for and compare the value of your Burbank Home. Find the answer to your question; What's My Burbank Home Worth?" The Burbank MLS changes daily so set yourself up for "Listing Alerts" and have new listings emailed to you the moment they come on the market. CLICK HERE to start receiving your Burbank MLS listing alerts. Thinking of moving to the beautiful Southern California of Burbank. 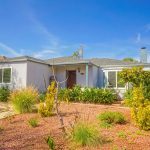 I have put together some links that can help you decide where in Burbank you might want to live and to Search Burbank Homes for sale. I hope you find these useful. Projects like the Stough Canyon Nature Center, Chandler Bike-way, Robert R. Ovrom Park , state-of-the-art Buena Vista Branch Library illustrate how Burbank provides a high quality of life for its residents by promoting community involvement. Connect with Your Community was established in 2005 with the mission to create opportunities, projects and partnerships that strengthen the local non-profit and community service agenda. In 2008 & 2010, Burbank received the distinction of being one of the nation’s 100 Best Communities for Young People because of its experiential and many faceted learning opportunities for its youth. Burbank created and continues to implement a communications program using various forms of media. One can browse the City Of Burbank’s website and access up to date information on City and community events, City Council meetings etc.